You’ve collected characters from across the Star Wars saga and today Galaxy of Heroes is ready to take you on the ultimate showdown. Welcome to the Grand Arena, a new game mode that allows players to battle each other using their entire character collections to prove once and for all who is the best player in the galaxy. Ignite your lightsabers or reach for the good blaster at your side, StarWars.com recently spoke to game designer Brandon Scheel to get valuable intel to take you to the verge of greatness and increase your odds at becoming the grand champion of the Grand Arena. 1. Avoid putting all your eggs in one basket. (Or maybe it’s a solid strategy after all). 2. Save your squads for quick use in the Grand Arena. Squad goals: Scheel preps different squads for offense and defense to save time later. “It also allows you to plan out which squads you’ll use on defense and which to save for offense.” And he saves the squads in the order he’ll place them in to cut down on confusion. “In my saved squad list, squads 1-3 go in my top territory and squads 4-6 go in my bottom territory.” Guess and test new configurations until you find what works for you! 3. Choose a path – go heavy on offense, defense, or strike a balance. “Some squads are better on defense than others, and some of the ‘glass cannon’ squads are much better on offense,” Scheel says. 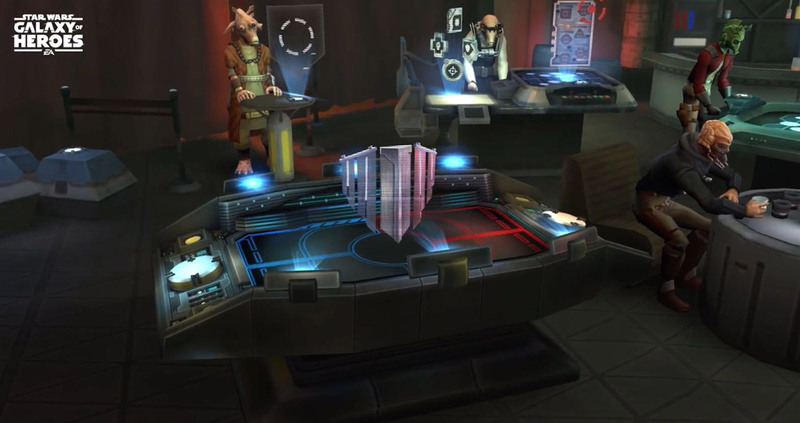 “Explore different strategies and see which ones work best for your collection of characters and ships — and your play style.” And don’t forget, you can always turn back and change your strategy for each new round. Bonus: You earn bonus banners if you attack and win with less than a full squad. So if you’re in a neck-in-neck race to win your Grand Arena round, consider taking some risky attacks with a lighter squad to gain the edge over your opponent. 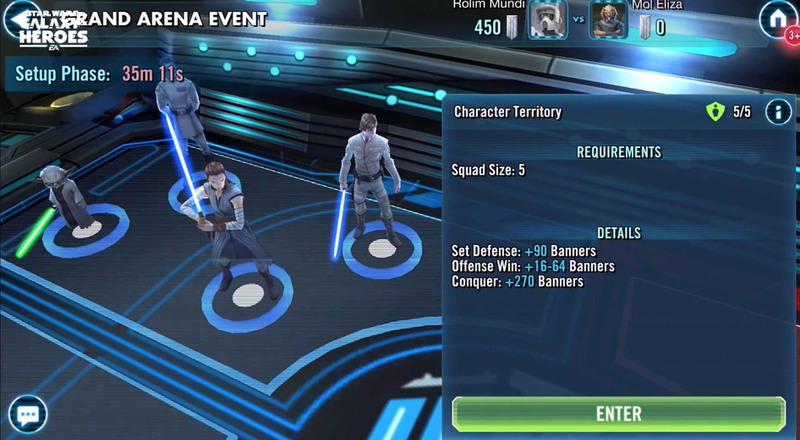 Prepare for battle and watch the trailer for the Star Wars: Galaxy of Heroes – Grand Arena below!